Text like Seths tut | Welcome to Glitchkill! 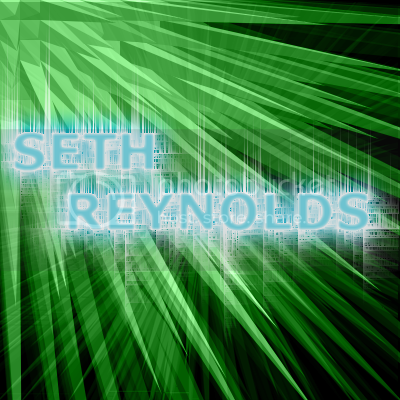 Ok, Axel asked me to make a tut showing how to do text much like the font in seths newest avatar. I wont tell how to do the bg in that one just yet, but the text is pretty simple. 1. Make a fairly large text layer. 2. Select the area around the text (I used the select by color tool, ctrl+shift+o). 3. Grow the selection by... ~3px. 4. Make a new layer, under the text layer, fill in this grown selection, and blur it a good bit. 5. Now the fun part. Make Four copies of this blur-text layer. 6. Use the distort->wind plugin on one of these four layers. Set it to Wind, low threshold, high strength. 7. Do the same (ctrl+shift+f) on another of these four layers, but this time switch the "left" to "right" or vice versa. 8. Now rotate the Image 90 degrees (Under Image->Transform). 9. Use the wind plugin on another layer, but this time raise the threshold a bit, and lower the strength. 10. And finish up the main "Wind" part on the last of these four layers, switch the direction, and rotate the image back. >1. Set the original text layer to "Overlay". >2. Use the wind again on the layers we had to rotate for, but this time use the same direction on both, set a VERY high threshold, and a high strength. 12. Any questions, just ask. Well with mine I made a duplicate of the original text, hid the duplicate. I then did the wind twice for each side on the visible one so you have text like in axels sigs. but then I made the duplicate text visible again, went into layer styles, colour overlay (Filled with blue) and inner glow which I made white. The inner glow is just a very cheap way of blending the text with the wind.